Sit Back. Relax. Play any one of our 30 exclusive video poker games including 15 exciting versions of 3 hand Poker (the only 3 Hand Play on the net!) or try your luck with Blackjack, or Slots. Know why becoming a member of our club allows you to enjoy the sensation that only comes while playing at the most vibrant online gaming site on the Internet. Ace Casino City is a trade name of Manihi Inc. Manihi is a duly established corporation operating under the laws of Costa Rica. Our casino utilizes advanced gaming software specifically developed to provide the user with a thrilling experience complete with the best odds on the internet. 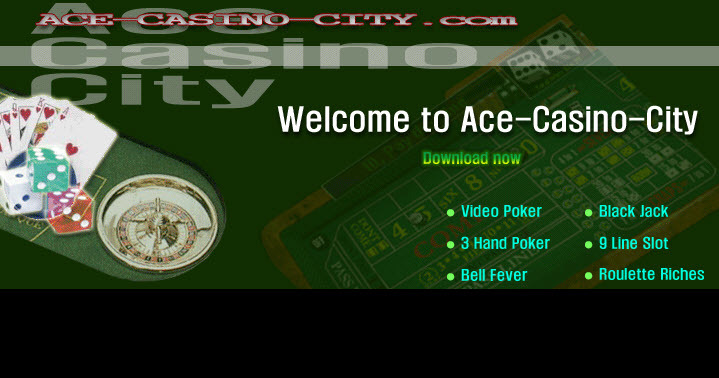 Ace Casino City is committed to provide you with unequaled quality. All software has met strict criteria to guarantee fairness for all internet users. We are committed to provide you with a superior gaming experience. We appreciate any comments or concerns you may have and you are welcome to contact us at any time.